Dish Network press conferences just aren’t the same without former CEO Joe Clayton: No fanfare, no dancing kangaroos — no fun, really. That said, with the release of the uber-powerful Hopper 3 DVR and its revolutionary TV everywhere companion, the HopperGo, Dish has just changed the game when it comes to TV everywhere. The two new devices make for an impressive upgrade for Dish customers, especially when compared to sister company Sling TV this year. But we’ll get to that in the moment. 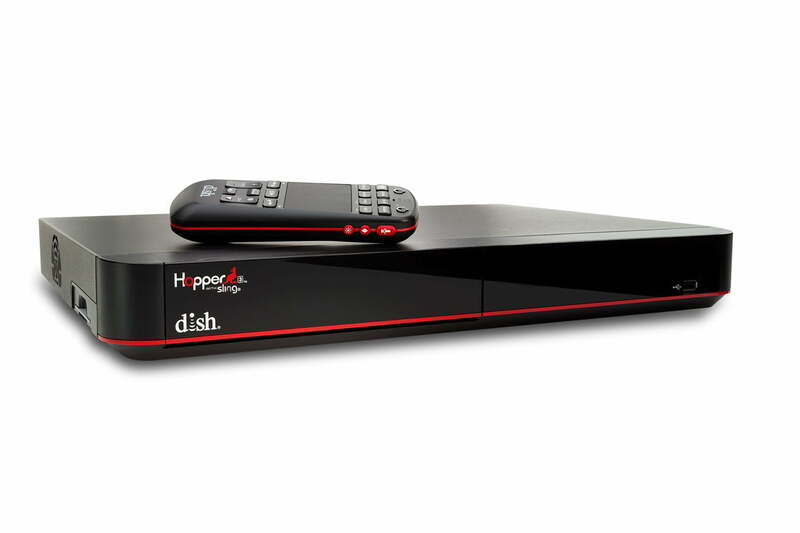 With the Hopper 3, Dish now arguably has the most powerful DVR on the market. Powered by the new Broadcom 7445 quad-arm processor, the Hopper 3 is claimed to be seven times as fast as the Hopper 2, twice as fast as TiVo’s new Bolt, and offers up to 16 tuners across its lightning fast interface. That means the Hopper 3 can power up to seven rooms in the home (with additional Joey boxes), record up to 16 shows at once, and even show four channels on screen at a time, each in HD quality for a bar-like experience. In addition, the new device now incorporates broad universal search across both broadcast TV and Netflix, as well as adding YouTube into the mix. And a new partnership with Sony Pictures, The Orchard, and Mance Media gives the service a slew of new 4K VOD content — though, unfortunately, there’s still no talk of 4K live broadcasts. The Hopper 3 is due sometime this month, and is a free upgrade for Dish subscribers. 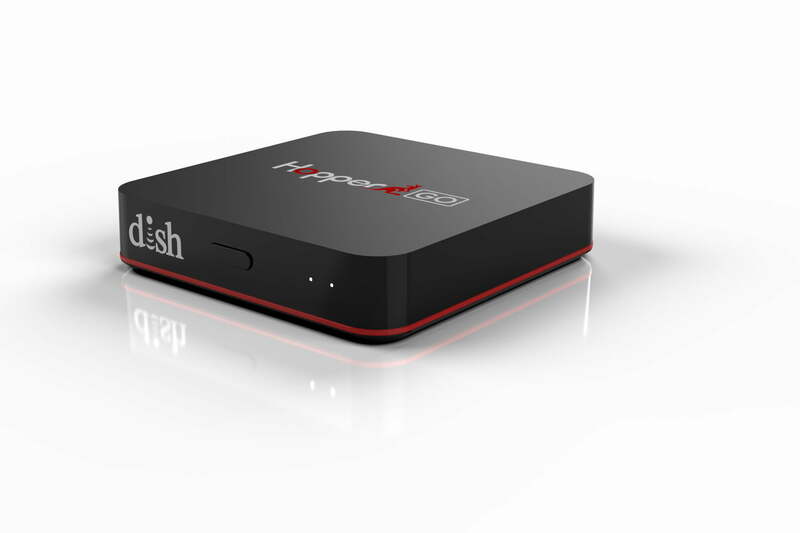 However, the most exciting new innovation from Dish — especially for TV Everywhere fans — may just be the new HopperGo. Though subscribers will have to shell out an extra hundred dollars to get it, the device allows for true wireless viewing of your favorite DVR content on your mobile device — no matter where you go. Just plug the HopperGo into your Hopper 3 via USB, and the device can download up to 100 hours of recorded content ready to playback no matter where you are. That’s because the slim, battery powered device creates its own personal Wi-Fi network to connect to your mobile device. While there are fewer and fewer places without Wi-Fi these days, the HopperGo allows you to truly take your favorite DVR content anywhere. Not too shabby. The HopperGo is expected sometime late in Q1 of this year. In comparison, Sling TV’s portion of the presser was rather dry. CEO Roger Lynch spent most of the time recapping just how awesome Sling TV was in 2015. And while the service has no doubt grown into something of a streaming giant among cord-cutters looking for a viable cable alternative, CES is all about innovation — and there just wasn’t much there this year. Apart from touting the impressive arsenal of channels Sling TV has acquired since debuting last year — which includes everything from AMC to HBO, Lynch did have some new morsels of news for the service. The biggest bit of news was a new interface coming to the service, called My TV, which is designed to grow with the user to understand what you want to watch, and help you better find it. The feature will automatically recommend shows based on your previous use, aggravate your search across multiple channels, and also recommend shows the service thinks you might like. The upgrade launches sometime in Q1. The only other real bit of news for Sling TV at CES 2016 is the addition of ESPN3 to the service’s Best of Live TV package, a “live multi-screen digital network” that allows users to watch a thousands of live sports, as well as on demand content. ESPN 3 will launch for Sling TV users later in Q1, as well.